Conventional tests are no longer the only source of data for doctors and patients. Medical technology is progressing, with new methods of therapy, incurable disease medication and diagnosis devices becoming available. 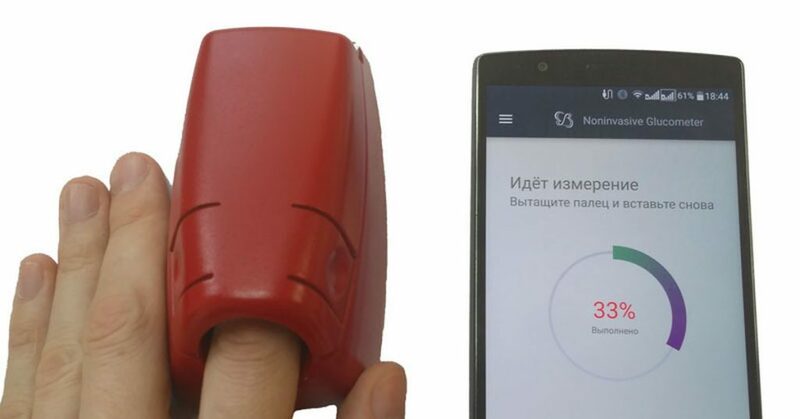 Russian company Brain Beat, a Skolkovo resident, developed a non-invasive glucose meter that will make life easier for diabetes patients around the world. Founder and CEO Edvard Kryzhanovsky spoke to Invest Foresight about the unique device and the startup. Edvard Kryzhanovsky graduated from the Department of Physics at the St. Petersburg State University. He wanted to implement the knowledge he acquired in university. In 2014, he founded Brain Beat, a company developing a non-invasive and non-traumatic glucose meter. The company currently employs 11 people, including physicists, doctors, engineers, mathematicians and programmers. The company website provides more details about the startup. It is not the first business project for Edvard Kryzhanovsky. In 2007 he and his fellow graduate Armen Grigoryan founded Bioenergy Technologies, a company developing diagnostic equipment and software. The company produces devices monitoring human psychoemotional condition, available around the world. According to Kryzhanovsky, he always wanted to be involved in solving global tasks, particularly in the healthcare industry. According to the World Health Organization, as of January 2018, the number of people with diabetes was over 422 million, and it is constantly growing. This prompted the startup founders to set the main task of creating a high precision device which would allow patients to check their blood glucose level without constant need for finger-prick. It should be noted that regular piercing of the skin has many negative effects, such as loss of sensitivity, pain, and a risk of contamination. Currently, there are minimally invasive devices for glucose measurement available; they allow taking blood samples less frequently. Upon receiving certificates of permission, Brain Beat will become one of the first companies to develop a fully non-traumatic glucose meter. The initial efforts to develop the device were taken by biophysicists, often in home conditions. It was decided to make the development on the basis of the optical spectroscopy method as the scientists had already acquired a substantial experience in optical electronics; this technique allowed avoiding mistakes made by most competitors, who did not consider the effects of the blood and skin’s main components, such as water and melanin, on the measurement results. In late 2014, the first non-invasive glucose meter prototype was created using the founders’ own finances of RUR 500,000 ($7,500). The first trials and tests were conducted at medical clinics in St. Petersburg and Puerto Rico, which allowed analyzing the work of the device involving both light- and dark-skinned individuals. The first trials motivated the founders and the startup team although there were some problems with the device precision. It was decided to begin patenting the developed solution. Patenting the device in Russia was the easy part. However, patenting a technology abroad is very difficult and requires a lot of time and significant funds. Transferring the patent to the national stage cost around RUR 2 mio ($30K). For the device to be fully operational, the measurement range needed to be expanded. It was also necessary to teach the device to recognize extreme spikes in blood glucose. Solving these problems required external funding which the startup secured. Additionally, Edvard Kryzhanovsky decided to participate in the GenerationS accelerator organized by the Russian Venture Company. Their mentor provided great help in building the startup’s business model and searching for partners. This led to cooperation with Johnson & Johnson, Invitro and some other companies who provided expert support. In 2018, Brain Beat with its prototype of a non-invasive glucose meter won the second prize at the prestigious Asian Entrepreneurship Award (AEA) contest of innovative technology in Japan and received a grant-aid of 500 K yens ($4,615). In March 2018, the certification process for the device began at the Federal Service for Supervision of Healthcare. Usually, the procedure takes 12 to 18 months (sometimes longer if there are issues to revolve). It is a complicated and multi-stage process. The initial stage includes coordinating technical specifications for devices, developing a risk management file, and drawing up the certificate of qualification tests and the instruction manual. This is followed by toxicological and technical tests, such as obtaining samples, developing a program and methods for tests, and the organizational work. Upon examining the documentation and technical procedures, the Federal Service for Supervision of Healthcare issues a permission for clinical studies to be performed on individuals. The procedure includes drawing up a program and developing methods for conducting the trials in the form of academic literature analysis, testing the device on an individual, correcting protocols, and making a test certificate. Following the trials, instruction manuals are updated for the manufacturer, if necessary. In case the entire set of documents confirming the positive outcome of the clinical trials is received, a registration certificate is issued. Currently, the certification procedure is initiated for conducting tests to receive the CE Certificate of Compliance. 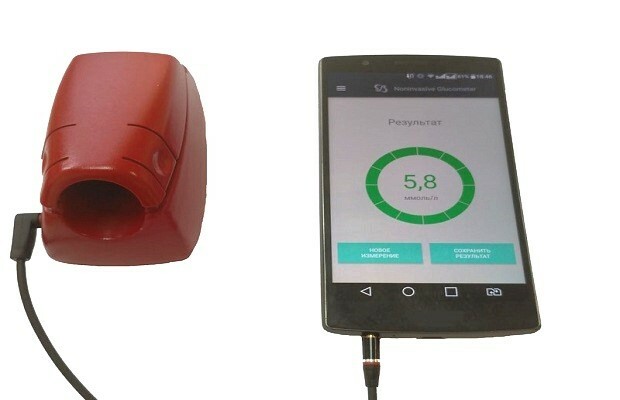 According to Kryzhanovsky, as soon as all improvements and certification procedures are completed, the company will likely not produce the device independently but plans to sell the license to the interested parties, such as major manufacturers of medical equipment and devices. The license could also be of interest to mobile device producers for purposes of monitoring the health status online. The device is expected to cost approximately RUR 16,000 to 20,000 ($240-$300).